LXV, 505 p., 17,3 x 24,8 cm. In cooperation with Stefan Rhein. 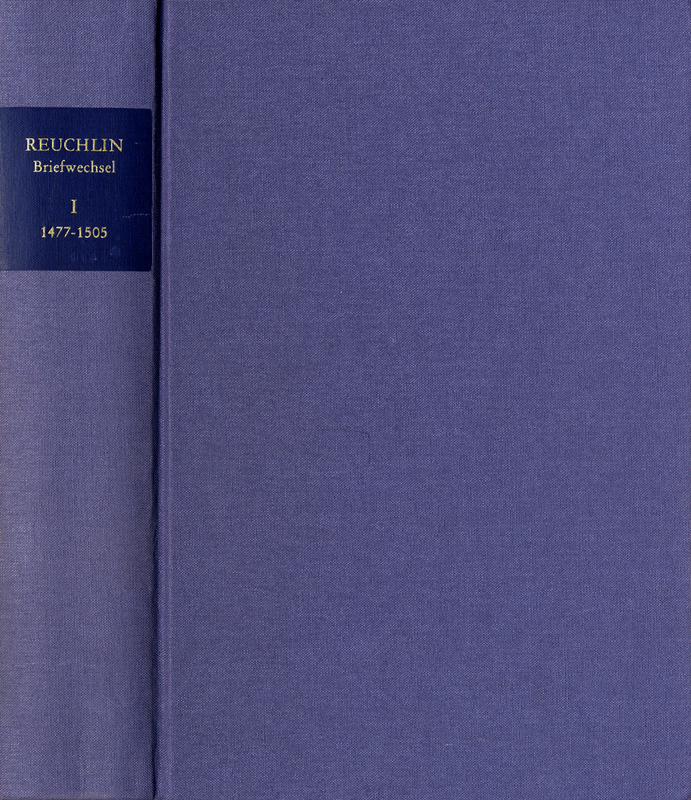 The 136 letters in this volume were written between Reuchlin‘s time as a student and the 51st year of his life. During this time, he wrote the dialogue ›De verbo mirifico‹, the comedies ›Sergius‹ and ›Henno‹ as well as a Hebrew grammar, published in March of 1506. The correspondence provides a great deal of material on the origins of these and other works by Reuchlin’s and sheds light on their reception at that time. A series of previously unpublished letters enables the very first insights into Reuchlin’s work as a councillor and a judge. Among the 80 correspondents in this volume are Rudolf Agricola, Sebastian Brant, Marsilio Ficino, Aldo Manuzio, Lorenzo de Medici and Jakob Sprenger. The appendix contains further important documents.